Awesome Johnson Tips and Tricks and Guide-Build! 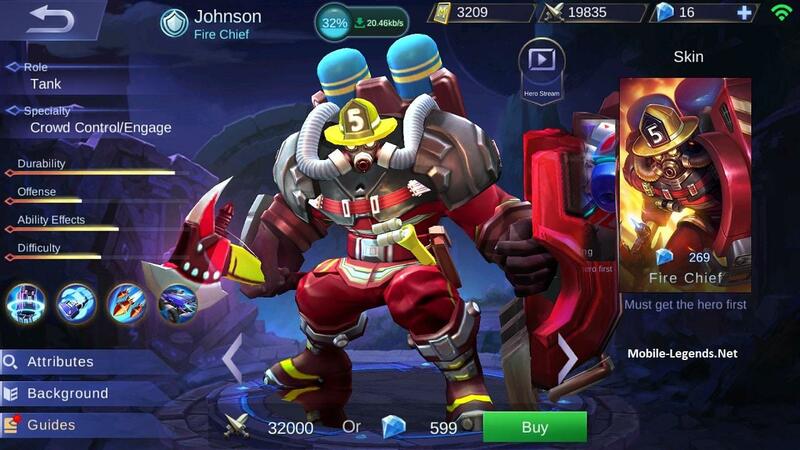 Let’s learn how to play Johnson and Which item should we buy for Johnson? Don’t forget to add your comments. 1st Skill [Iron Sack]: Activating this skill empowers your next basic attack: it will deal bonus magic damage and will deal more damage based on your amount of armor (1.5x your armor); the attack will also lower the target’s movement speed by 60% for 1s; if the target you hit was already slowed he will instead be stunned for 1s (the same target can only be stunned once every 6s). 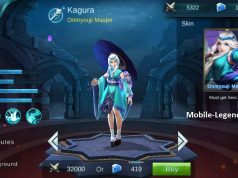 – This skill is good for its utility for the whole game but in the late mage it also starts acting like a little magic nuke on a single target. 2nd Skill [Missle Tackle]: Johnson fires 3 miss-less in a big cone shaped area in front of him, it will deal magic damage to the target it hits and lower their movement speed by 70% for 2s. -This skill has insane utility because of the high slow value on multiple target, with this build we will make the slow amount even stronger thanks to Frost, enemies hit by it will be barely able to move. Ultimate Skill [Rapid Touchdown]: Johnson transforms into a car launching at high speed after a small acceleration period. During the acceleration period one of your teammates can enter the car (you can make the acceleration period stop earlier by tapping the button again). Both Johnson and his ally will come out of the car when they hitan enemy\obstacle. The impact causes an aoe stun\damage area, the stun ranges from 0.75-1.5s and the damage 300-600 (magic damage) depending on the car’s speed upon impact. Johnson’s Ultimate also provides him a passive 10\20\30% armor increase. – This ultimate is extremely good, it can be used in a variety of ways: long range ganks, short range stuns, escapes, etc. It’s not easy to steer the car so you have to get used to it. Passive [Electro-airbag]: When Johnson’s HP drop below 30% he will get a shield for 10s, the shield amount scales off of his armor. After you trigger it the passive will go on cooldown for 1m15s. – This is a very nice passive to have as a tank, the only sad part is that the cooldown is one of the longest in the game and you can’t reduce it. They give us that early movement speed which is good to catch up to enemies so we can connect our slow + stun combo. The armor is very good in general and it synergies with our skills. You can also consider Tough Boots if the enemy team is heavily magic damage based. High HP and Magic Resist. + AOE magic damage around you, this will increase your damage potential by a lot. It adds some damage to our skills and gives us some nice movement speed but we get it for its passive which lets our slow be extremely strong making the enemies barely able to move! It’s just an amazing all-around defense item, making every enemy who attacks us weaker is just awesome (since they will still be weaker for a short duration even if they start attacking our allies). It gives us a lot of armor which also synergies with our skills and some nice damage versus physical damage dealers. Just amazing self sustain, just get an assist\kill to regen a ton of HP. It’s very good after you proc your shield and you are low on HP so you can get back to high HP before the shield ends. If you can’t afford picking up Bloodthirsty King because you need more armor or magic resist. pick a situational item. Amazing magic resist and EHP – Immortality (good magic resistance and hp plus a very good late game passive) – Heart of Steel(so you can counter crits builds). 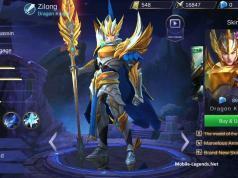 Fill your Situational Slots based on what you need to counter in that specific situation, if you are good already go for Bloodthirsty King. Note: If your team already has a lot of cc\slows or if you need more tanky general you can transform this build into a stkalianrd Johnson build by replacing Frost with a Situational Item! It just gives use everything we need. Stkalianrd pick because of its versatility: re-positioning, aggressive actions, retreats, etc. After skill is released it will immediately remove all negative effects and grants immunity from disables for 1s and increase hero’s movements speed by 30%. It’s still a solid pick, more so if the enemies have a lot of stuns. You can use your ultimate for close range stuns (even melee range), not just from long range! Just quickly point your ultimate towards the enemy hero\es and click the button again after you transform into the car, you will immediately launch towards them stunning them! Remember that Johnson is a tank so build him like a tank, don’t go heavy on magic items on him because his best spells synergies with his amount of armor. Your 1st skill deals more damage the more armor you have (it still deals magic damage) so in the late game it will be a very nice little nuke considering you are a tank.5) If you are using Flicker you can use your Missles and then use Flicker to immediately get on top of the enemy to Punch them and secure the stun! Use your first skill when you hit turrets, you will deal a ton of damage to them! Johnson doesn’t use mana so his skills are “free”, don’t save them too much unless you think a big fight might be coming, use them a lot to farm minions and to harass enemies. The exact cooldown before you can reuse your passive shield is 1m 15s, this can’t be reduced by CDR items. Max your 2nd skill first, it has better damage scaling per level and it’s better to lower its cooldown asap. If you are new with Johnson make sure to go in a custom game and to practice piloting him during his ultimate, it’s not that easy to control it and it’s important to get decent with it. From: “tianziwei” thank you for sharing. how do u increase/decrease johnson’s speeD?